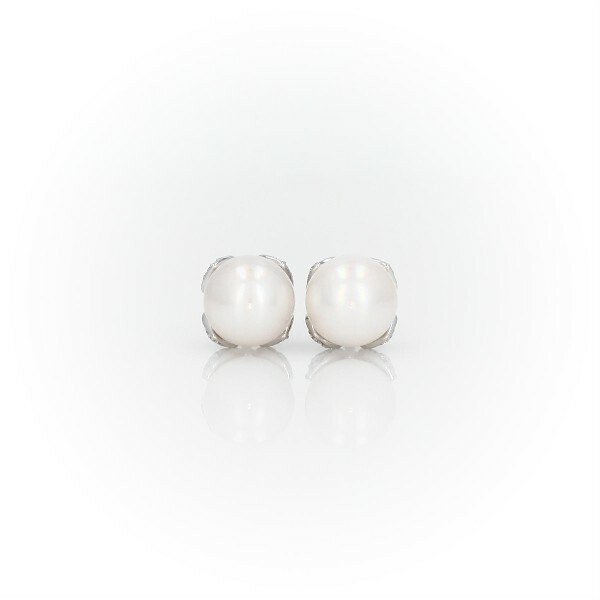 Luster and brilliance pair perfectly in these cultured Akoya pearl and diamond earrings crafted in 18k white gold. A classic and sophisticated look for a demure bride. Inspired by her romantic couture bridal creations, Monique Lhuillier’s fine jewelry collection reflects the sophistication and innovative spirit that defines her style. Each piece is designed to mirror the uniqueness of every bride, by capturing the essence of the moment and displaying a distinctively whimsical look.